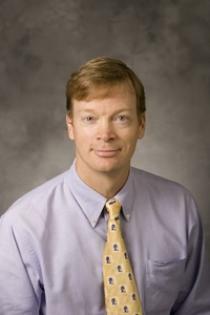 Duke Radiology»Faculty»Charles M. Maxfield, M.D. Grimm LJ, Maxfield CM. Ultimate publication rate of unpublished manuscripts listed on radiology residency applications at one institution. Acad Med. 2013 Nov;88(11):1719-22. Maxfield CM, Bartz BH, Shaffer JL. A pattern-based approach to bowel obstruction in the newborn. Pediatr Radiol. 2013 Mar;43(3):318-29. Li X, Samei E, Barnhart HX, Gaca AM, Hollingsworth CL, Maxfield CM, Carrico CW, Colsher JG, Frush DP. Lung nodule detection in pediatric chest CT: quantitative relationship between image quality and radiologist performance. Med Phys. 2011 May;38(5):2609-18. Wang YE, Liu M, Jin L, Lungren MP, Grimm LJ, Zhang Z, Maxfield CM. Radiology education in China. J Am Coll Radiol. 2013 Mar;10(3):213-9. Maxfield CM, Nelson RC, Gray-Leithe L, Ravin CE. Successful implementation of a universal 3/2 radiology curriculum. Acad Radiol. 2010 Jan;17(1):116-9. Swanick CW, Gaca AM, Hollingsworth CL, Maxfield CM, Li X, Samei E, Paulson EK, McCarthy MB, Frush DP. Comparison of conventional and simulated reduced-tube current MDCT for evaluation of suspected appendicitis in the pediatric population. AJR Am J Roentgenol. 2013 Sep;201(3):651-8. Ellison JS, Maxfield CM, Wiener JS. Voiding cystography practices and preferences of North American pediatric urologists. J Urol. 2009 Jul;182(1):299-304; discussion 304-5. Li X, Samei E, DeLong DM, Jones RP, Gaca AM, Hollingsworth CL, Maxfield CM, Colsher JG, Frush DP. Pediatric MDCT: towards assessing the diagnostic influence of dose reduction on the detection of small lung nodules. Acad Radiol. 2009 Jul;16(7):872-80. Li X, Samei E, Delong DM, Jones RP, Gaca AM, Hollingsworth CL, Maxfield CM, Carrico CW, Frush DP. Three-dimensional simulation of lung nodules for paediatric multidetector array CT. Br J Radiol. 2009 May;82(977):401-11. Maxfield CM, Bayindir P. Fat-containing lesions revealed by CT in children with right lower quadrant pain. Pediatr Radiol. 2009 Apr;39(4):371-6. Stewart J, Maxfield CM, Lessne M. "Ready or not: Are medical students prepared to decide between diagnostic radiology and interventional radiology?" JVIR Feb 2016; 27 (2): 281–283. Grimm LJ, Maxfield CM. US Graduate Radiology Training. Chin J Radiol 2012 45 (11) 1083-1085.